I love to see yet another country joining my select group if readers for my blog. This time---it's a huge hi to Algeria. 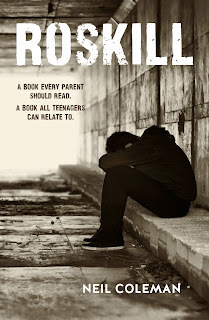 I hope that you all take the opportunity to follow the links to my book, Roskill. Roskill shows a side to New Zealand life that you won't find in the tourist brochures. es, all countries have a side they would rather you didn't see. If they claim otherwise then they have their head deeply in the sand. You have plenty of that, Algeria. OK---check out my site==== www.authorneilcoleman.com for an authentic look at life on the dark side in NZ!